If you are in any way familiar with the inner workings of a car, you’ll be familiar with transmission fluid. Even if you don’t know much about vehicles, you’ll probably be aware that this fluid is pretty important. What a lot of people don’t realize is just when they are supposed to change the transmission fluid, and more to the point, why they should change it. Getting a rudimentary knowledge of this can save you a lot of hassle down the road. What Happens If The Fluid Is Left Too Long Between Changes? Not adhering to a good maintenance schedule leaves your transmission at greater risk of major damage. Sometimes there are some situations where it’s necessary to change the transmission fluid sooner. This will depend on factors, such as driving habits. This fluid is a slick liquid, which is an essential lubricant for the mechanical, moving parts of a vehicle’s transmission. In cars with automatic transmission, the fluid also acts as a useful coolant, as well as being the viscous fluid needed to transmit power from the vehicle’s engine to the transmission. If you have a manual transmission vehicle, there is a variety of fluids you can use, including regular motor oil. It’s best to refer to the vehicle manual to see what the manufacturer advises. There is no short answer here. Asking around will turn up several answers, which vary depending on the car, the age of the car, and how often you drive it, among other factors. Let’s say the average driver clocks up around 15,000 miles in a year. Now, as some manufacturers advise the transmission fluid to be changed every 100,000 miles, that would mean you would change it about every 6 or 7 years. That’s a pretty long stretch, and so it’s probably best to err on the side of caution. Realistically, it’s better to change the transmission fluid once every few years. Manual transmission vehicles – The majority of major manufacturers typically recommend that the transmission fluid for manual vehicles is changed out for every 30,000 miles to 60,000 miles. If you are using the vehicle constantly for heavy-duty, long-distance driving, then it may be better to change the fluid in the vehicle every 15,000 miles. Automatic transmission vehicles – For automatics, you don’t need to worry about changing the fluid as often. Usually, most cars are serviced every 60,000 miles to 100,000 miles. If you decide to change the fluid more often than this, it won’t do any harm. 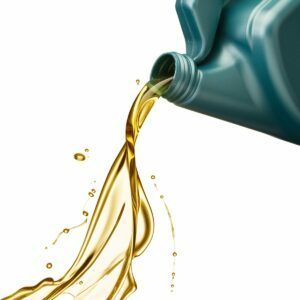 Why Must Transmission Fluid Be Changed? Is it even necessary to change it? The answer is an emphatic yes. Here’s why. If the fluid is left too long between changes in a manual transmission, it is subject to contamination. Over the course of time, as gears, bearings and synchronizers wear out, the effects of erosion leaves microscopic metal particles floating in the fluid. Small as they may be, the presence of these particles affect the lubricating capabilities of the fluid, making it much less effective. Unless the contaminants are drained, the transmission’s lifespan will be shortened. In an automatic, a greater deal of heat is generated. The fluid does help with cooling, but over time, it degrades in the heat, breaking down with continued use. Furthermore, just as contamination is a risk in manual transmission vehicles, automatic transmission fluid can also become tainted with worn out pieces of your transmission. Failing to properly maintain the vehicle can possibly lead to the total failure of the transmission, which is a much more expensive problem to fix. Not adhering to a good maintenance schedule leaves your transmission at greater risk of major damage. If it’s left too long, you’ll be lubricating the transmission using metal shavings. You might not think it’s too big of a deal, but when your mechanic discovers the problem, it could become very painful for you and your wallet. It’s much cheaper to buy a bottle of transmission fluid than it is to replace the entire transmission. For example, if the vehicle is being used for heavy-duty tasks like hauling, snow-plowing or heavy towing, then you should change the fluid more often. Similarly, if you are in a hot climate, it’s advisable to change it about every 15,000 miles. This is because your transmission will reside at a much higher operating temperature, which makes the fluid degrade much faster. In recent years, car manufacturers have improved the ways in which cars can be maintained. One useful method for checking transmission fluid is the use of color-coded dipsticks. When you open your engine, you can find the engine oil by the yellow ring and the transmission fluid by the red ring. Manual transmission – This can be a little tricky. While some manufacturers have included color-coded dipsticks, not every car maker is onboard with that system just yet. Automatic transmission – You’re in luck if you have an automatic transmission vehicle, as it will be equipped with a dipstick. Just don’t mix that dipstick up with the one for the crankcase. Failing that, the best move is to ask your trusted mechanic to check the transmission fluid whenever they are performing an oil change. It’s easy to do this when they already have your vehicle on the car lift. Can I Check the Transmission Fluid Myself? We’d advise you get a trained mechanic to do this job for you, especially if you have a manual transmission vehicle. However, if you have some skills with cars and are confident about engines, then maybe you can save a few bucks with a little DIY mission. If your practical skills and motor mind have combined to great effect before, as in you can fix things that involve removing more than two bolts, then perhaps you can do this. Just ensure to warm the engine up first, then leave the gear in the ‘park’ position. We advise you double-check this in the owner’s manual, as certain manufacturers have different procedures. When you pull the dipstick out, you can verify the current level of the fluid. Take out enough to inspect the color of it. If the transmission fluid is still healthy it will be red. Over time, this gets a little darker, which is perfectly fine. However, if the fluid is brown or black, or if there is a burnt smell coming from it, then you should change it immediately. Take a close look to inspect for any contaminants such as dirt, debris or metal shavings. Any signs of these indicate that the fluid is past its best. One final tip worth knowing about is that transmission fluid doesn’t burn up the same way engine oil does. That’s why it lasts so long. That being said, if you notice your transmission fluid is low, and you know it was changed not so long ago, then you can be sure there is a leak somewhere. So, now you know the importance of transmission fluid, and how it impacts your car in the long run. It doesn’t have to be changed that often, as usually every 2 or 3 years is fine. However, you need to consider other factors, like what the vehicle is used for, and how many miles you are clocking up in a short space of time. Cars are impressive feats of human engineering, but with so many components, a lot can go wrong if they are not properly maintained. Take note of when you check the transmission fluid, and make sure you get it changed on schedule. In the long run, it can save you a lot of money and also the hassle of fixing much bigger problems. In the end, transmission fluid is no magic elixir, so if there are other mechanical problems, just changing the fluid alone won’t work wonders.